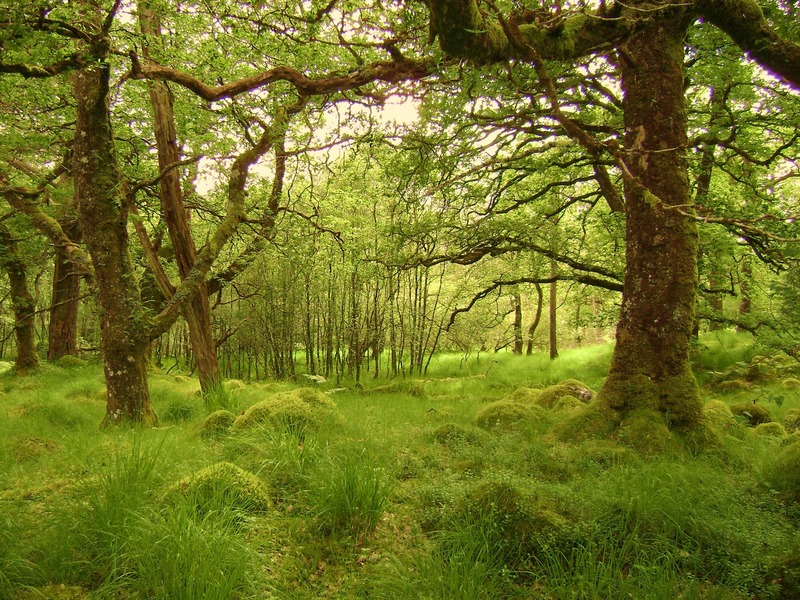 One of the last surviving old-growth oak forests in the Scottish Highlands. 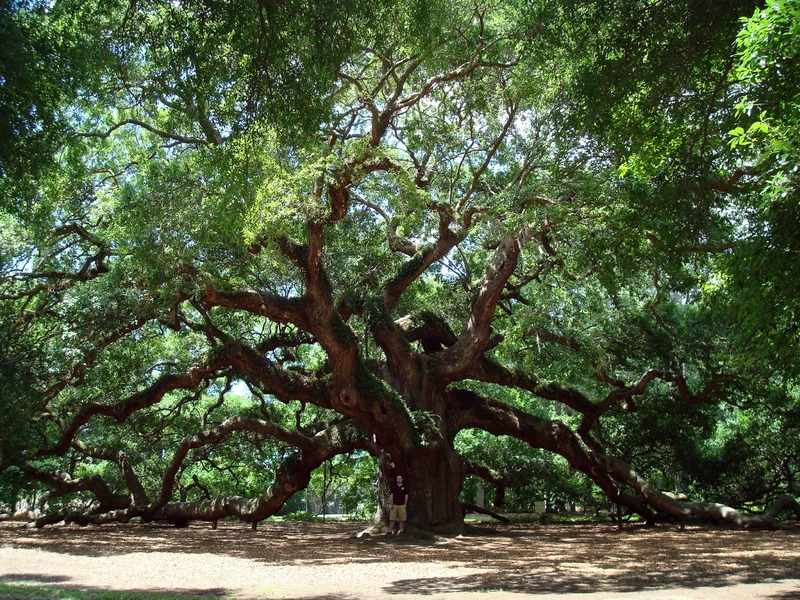 Angel Oak Tree, outside of Charleston, South Carolina, is over 1,500 years old. 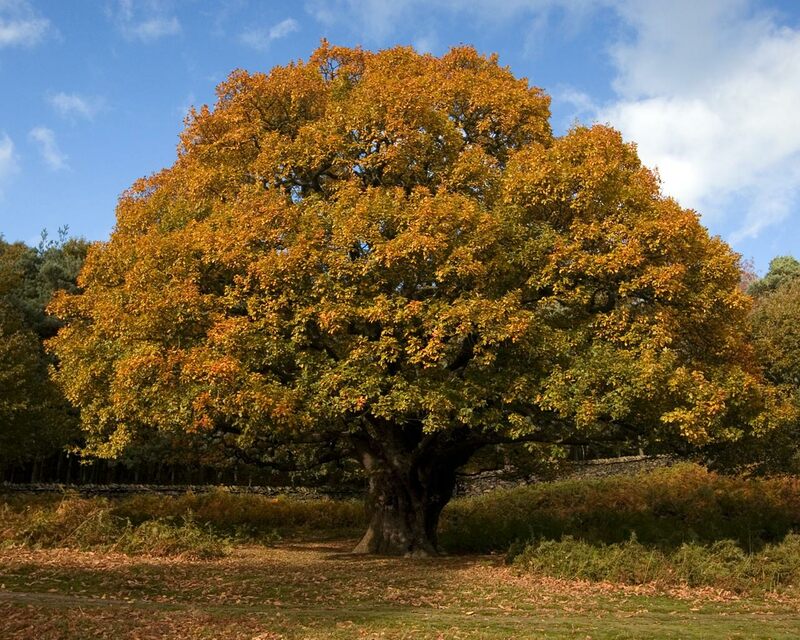 The Oaks are a large family of shrubs and trees, about 600 species, which produce acorns. 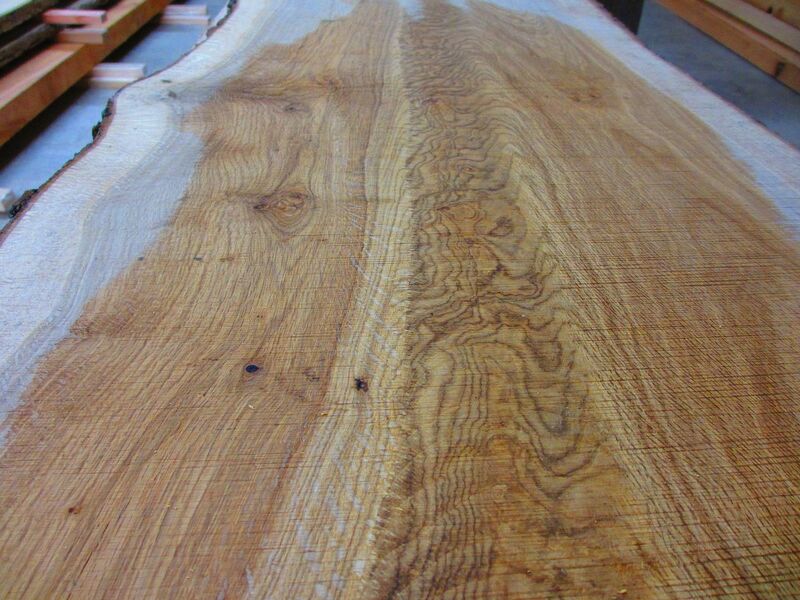 Oak wood is highly valued for everything from timber buildings and furniture to wine/whiskey barrels and shitake mushroom logs. Acorns can be used for making flour or a coffee/tea substitute. 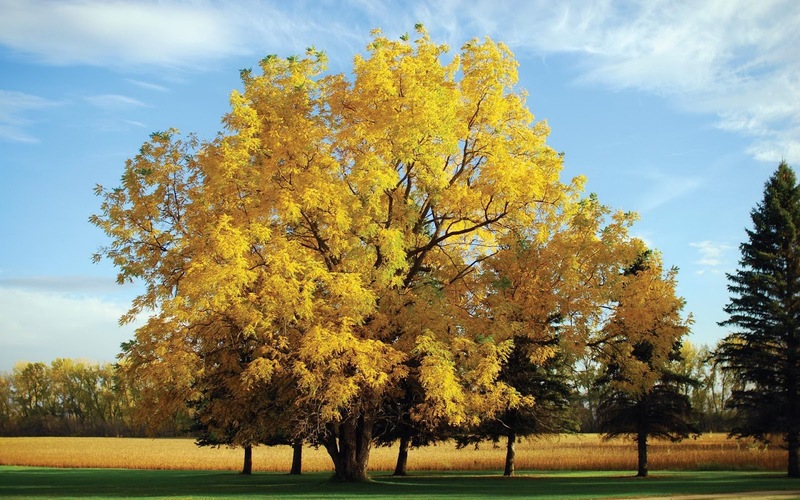 The trees themselves are beautiful, large, and long-lived and work great as windbreaks. If you enough space, oaks are a great addition to a Forest Garden. 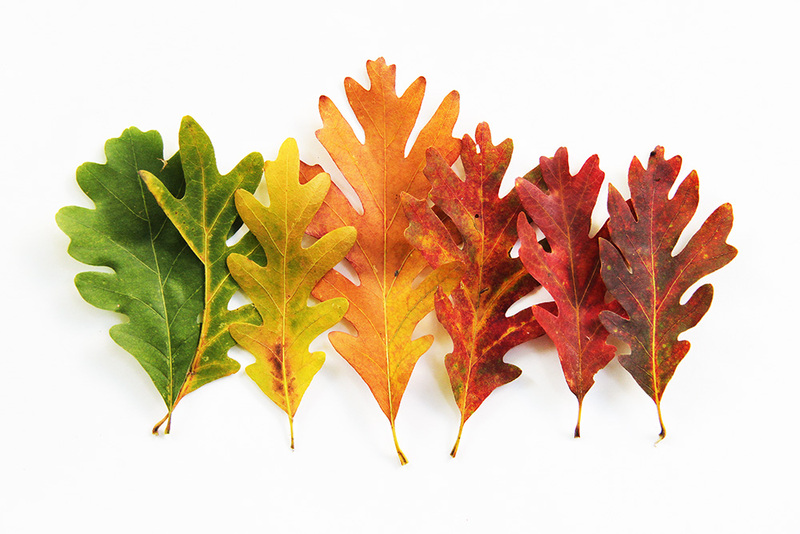 Native to the northern hemisphere, oaks are found from tropical to cold climates. Oaks have been used for wood and food for thousands of years. Craftsman around the world have used oak wood for centuries. Because of their long lives and strong wood, oaks have been used as national and political symbols, and because of their use is no many areas of life, oaks have been used as religious symbols as well. In more recent times, a number of hybrids and cultivars have been developed for landscaping purposes. Unfortunately, there has not been much development in producing acorns with less tannin. Oaks produce fruit as a nut called an acorn. The nut contains the seed. 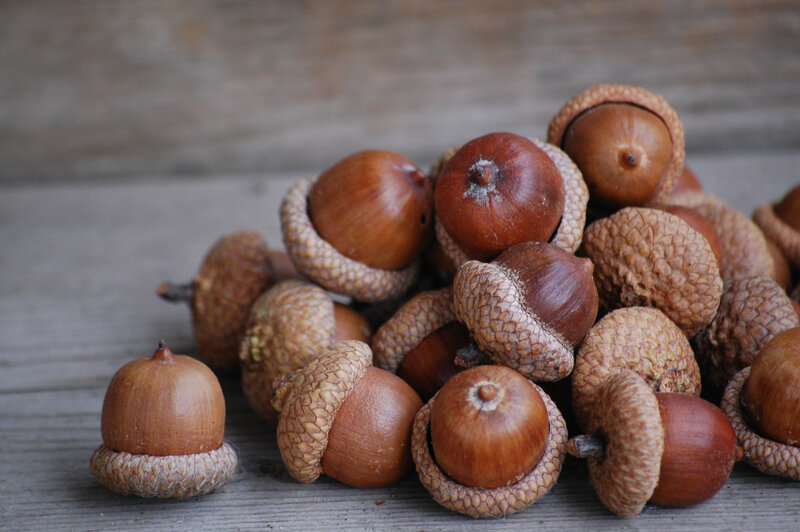 The “cap” of the acorn is called a “cupule”. The fruit of nut trees, like acorns, are generally referred to a “mast”. Most acorns have high amounts of tannin, which eaten in large doses, can be toxic to certain animals, namely horses, cattle, and sheep. Pigs, which in certain locations feed on large amounts of Autumn acorns, can have some issues with the toxins, but this is much less common. harvesting the cork (bark) is done in a way which does not harm the tree. Acorns can feed wildlife, domesticated life, and human life alike. 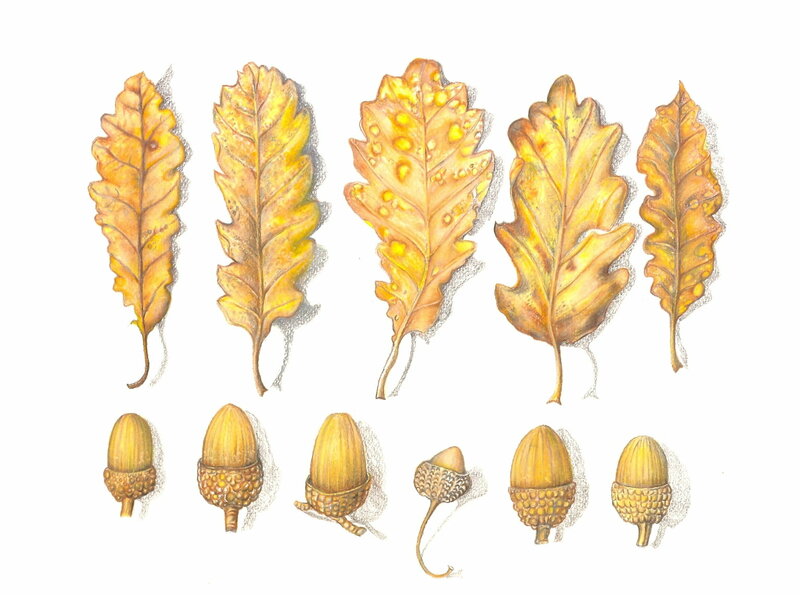 Oak leaf and acorn variety. Young Leaves – cooked. 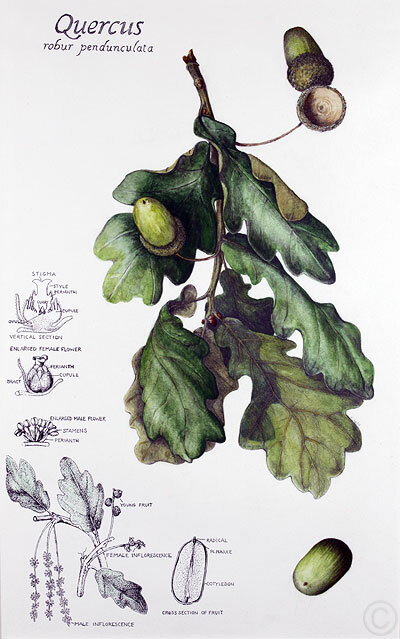 Only a few oaks (Quercus acutissima) have edible leaves. Coffee – The seed can be roasted and used as a coffee substitute. Most species can be coppiced – every 7-30 years depending on the size wood desired. Wood is highly prized for finish carpentry, furniture, tools, barrels, crafts, baskets, as well as posts, fencing, stakes, wedges, roof shingles, firewood, and charcoal. Wood and acorn shells can be used for tanning. Yield: highly variable on species and size of the tree. For example, Q. acutissima can produce up to 125 lbs (56 kg) of acorns per year. Harvesting: Autumn (October-November). Acorns are harvested after they have fallen from the tree. Storage: Can be used right away, but can be stored for months if kept dry. Oaks are just impressive trees! Pollination: Oaks require cross-pollination. This can come from just about any other species of oak. Pollinated by the wind. Years Between Major Cropping: 1-10 years depending on the species. Years of Useful Life: 200 years is considered young for most species. Oaks can live to 400 years if not cut down. 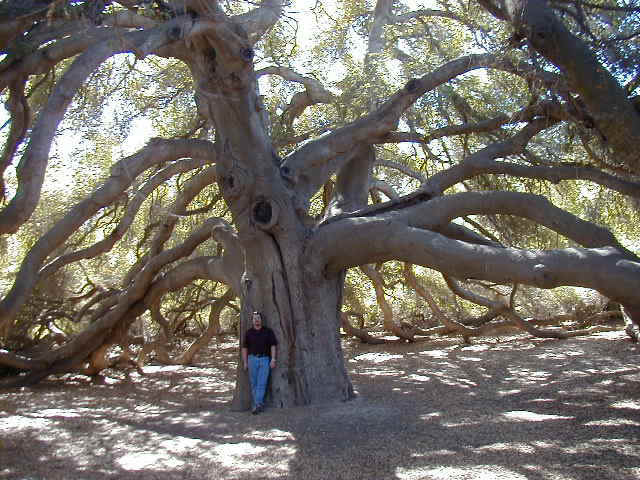 There is an oak over 2,000 years old in California. The Pechanga Great Oak, outside of Temecula, California, is over 2,000 years old. 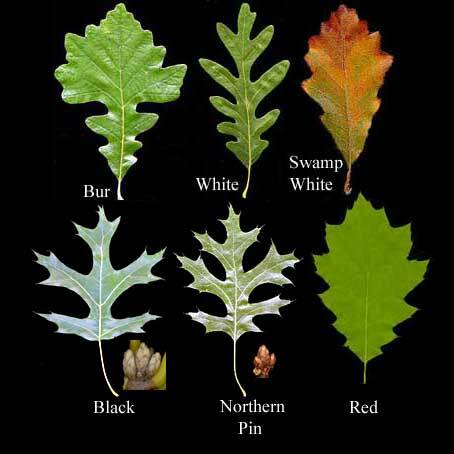 Oak leaves can be extremely variable. Each species is different. Roots: Extremely variable based on the species. Many have taproots, some are heart-shaped root masses, and some are a diffuse, fibrous network. Growth Rate: Most species grow at a Slow to Medium rate; however, a few species are known to grow fast. Also, many of the hybrids grow at a much faster rate. 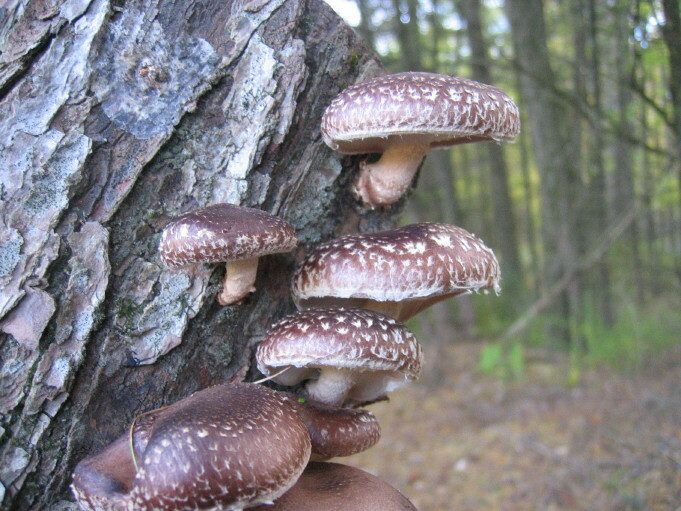 Shiitake Mushrooms prefer Oak wood over any other wood. Oak wood has so many uses! pH: most species prefer fairly neutral soil (6.0-7.0), and some species (notably Q. macrocarpa) is tolerant of very acidic to very alkaline soils. Easily from seed. Sow immediately in Autumn after the seeds have fallen from the tree. Not much maintenance is needed.